By this time last year, I was almost done culling all the committees from my calendar. I had thought contributing to those groups would make me happy, or at least make me feel like a good person, but it didn’t. Instead, I felt drained and uninspired. I felt removed from the charities I was supporting and smothered by the childish infighting among people who were supposedly present to give back to the community. 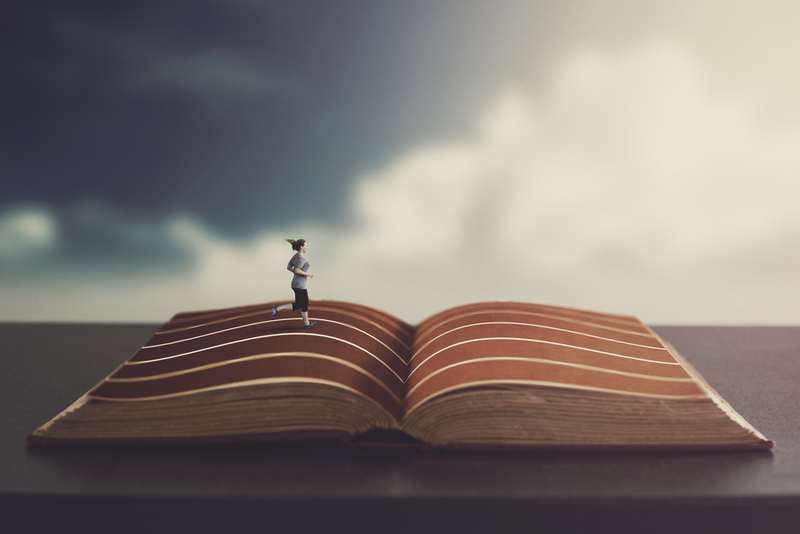 I learned – not quickly, but eventually – that volunteers aren’t always compassionate, board members aren’t always competent, and adults aren’t always as mature as the average 7th grader. I learned to dread my committee meetings with a stomach-turning, lung-strangling anxiety. I learned that doing something “good” can feel shockingly bad. So I stopped. I gracefully left everything (after completing significant milestones and transitioning my role to replacements; I’m not a monster). When I was free, it took a little while to enjoy the space to breathe, the space to think about the difference between having a full life and having a fulfilling life. With Jenn’s help, I tried to figure out what I want(ed) and what I am(was) passionate about. My success was limited. The only target I could settle on with certainty was running. I wanted to run a marathon. Had wanted to for years. Had put it off knowing if I was making excuses for why I shouldn’t do it, then I shouldn’t do it. But I wasn’t making excuses any longer. In fact, I had cleared my schedule, and I needed something to feel good about. I could write pages and pages on my marathon training – already have, in fact – but for the purposes of this post, all you need to know is from November 2016 when I decided to run, to February 2017 when I started my for realz training, to May when I (re-)injured my knee and had to change my marathon plans, to June when I started over, to September 23 when I completed my first full marathon ever in effing Grand Forks, North Dakota of all places… I did feel good. I felt purposeful and strong and accomplished. Even during the abject shittiness of my injury, I was driven to meet my goal. And then, about three days after it was over, I felt lost. Aimless. I didn’t ask myself “what’s next?” until about three days after the marathon was over, when I was already in “next.” And I didn’t have an answer. Robert, erm, J.K. was great, but her audio books could only last so long in a marathon training schedule that went on for 31 weeks. Plus, I listened to a huge chunk of the third novel while painting the new garage. Whoops! But I had an advantage, because this time when questing for the right audio book for running, I knew what I was looking for. I wanted a book like the Cormoran Strike novels. A week or so of research, recommendations, and message boards later, I found Tana French and the Dublin Murder Squad series. What to say about these excellent novels? 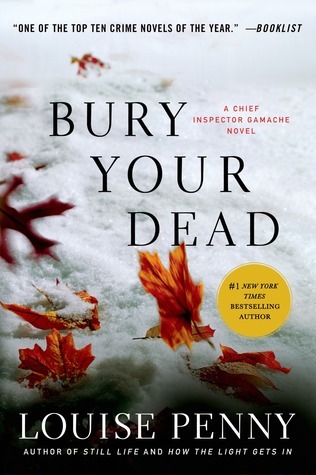 Tana French is a good writer, the narrators are strong, and the mysteries are intriguing. 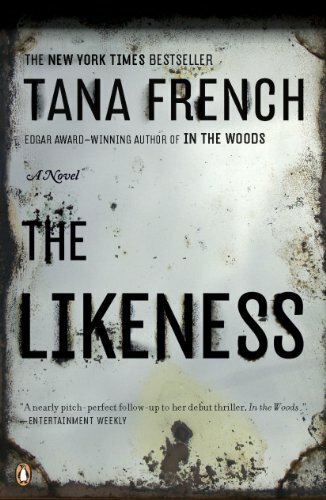 The first novel in the series, In the Woods, was eerie and interesting. The second, The Likeness, even more so. Haunting but fast paced. Dark without being dreary. Layered characters who you actually like. A mystery that leaves a little mystery behind after the conclusion. Even better, I found that the series was well established. The sixth book had recently been published. Perfect! Hours of running entertainment! And then I went to download the third novel in the series, and found that the audio books for 3-5 in the series aren’t available in Canada. Damn. I would not be burned again. I limited my search to Canadian mystery writers, and very soon came across the Chief Inspector Armand Gamache novels by Louise Penny. Not only are these great for running, the narrator for the first six novels – Adam Sims – is extraordinary. I was right pissed off when the middling Ralph Cosham took over the narration for book seven. Anyway, it’s nice to read something unabashedly Canadian, or Canadien rather. Plus, the Quebecois accents have really helped with my poor French pronunciation. I’m on book eight now, and I am admittedly getting a bit worn out, but the series did build nicely to book six. So that’s it, that’s all. Go listen to something.